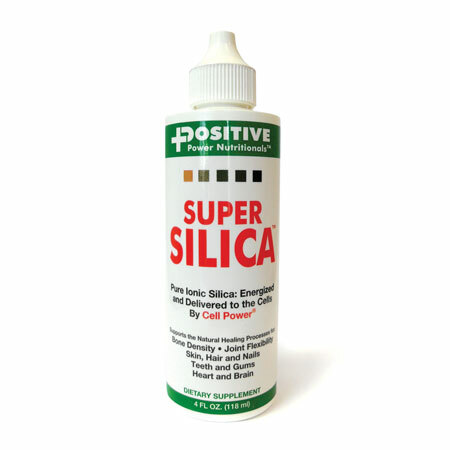 Super Silica™ is a blend of pure ionic silica and Cell Power®. 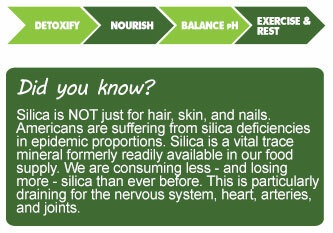 This combination provides the highest silica absorption available – up to 20 times more than silica from horsetail! It helps you feel more alive because it measures high in balancing energy. 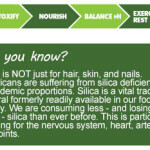 Super Silica™ contains all seven elements that must be present for any life form to survive: oxygen, silicon, hydrogen, calcium, nitrogen, carbon, and sulfur. Chelates metals and removes chemical toxins.